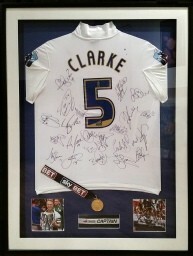 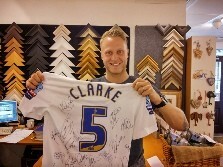 Preston North End captain and ex Huddersfield Town player has brought in his League One play off winners shirt and medal for framing. 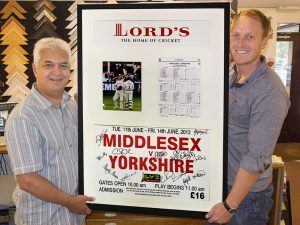 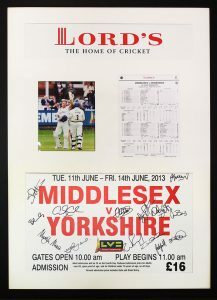 The Yorkshire Cricketer came into Harrison Lord Picture Framers in Brighouse to frame images, score card and signed tickets for the match at Lord’s. 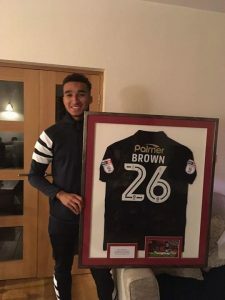 Brilliant News: Jacob Brown who plays midfield for Barnsley FC also had a custom shirt framed at Harrison Lord Picture Framers in Brighouse along with an image and printed plaque.